I've suffered from dry scalp since I was young.. like 11 years old young. All of a sudden, my scalp started to itch and nothing helped. My scalp was flaking and I would have a white dusting on my shirt, which looked like dandruff. I thought that's what I had but the itching was unbearable. Finally, I went to see a dermatologist and they told me I had psoriasis. Psoriasis is a skin condition which causes your skin cells to build up and that creates dry patches and scaly rashes. It made total sense and just until recently I discovered that psoriasis was not what I had. Now, I don't think that doctor misdiagnosed me; I think after 13 years, the condition transformed into something else. 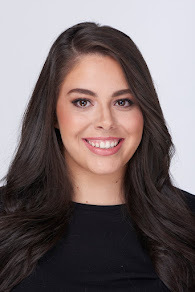 However, at the time I began treating my scalp for psoriasis; I used special shampoos, conditioners, styling products, creams; everything under the sun I used. These products would work for a handful of weeks or months but then they stopped and I'd have to move onto something else. As of a few years ago I kind of just accepted that my head was going to be itchy and my scalp was going to remain in the state that it was in. It wasn't until recently that I actually found some solutions to my issue and they were helping. My scalp wouldn't get itchy until it was time to wash my hair (I sometimes go 4-6 days without washing my hair because it's so thick, it never gets greasy). A few months ago I did go to the dermatologist for a check up and told her about my scalp; she prescribed me some medicated shampoo and it helped immensely. She said that it wasn't psoriasis but rather just a build up (there is a medical term for it that I can't remember) and that the shampoo should help. I've never loved a doctor more because I've been using the medicated shampoo for 2-3 months and my head has never felt better! I do believe that there are cases of dry, flaky scalp that isn't as bad as mine and I think these products would work wonders for anyone suffering on a lesser level. 1. Alterna Caviar Exfoliating Scalp Facial: This product is a miracle worker. You use it before shampoo and you basically massage the product into your scalp with the little feet attached to the bottle. It removes all the dead skin from your scalp (you can actually feel this and it's gross) and cleanses your hair. I am obsessed with this and it's the one product that really worked and made a difference. 2. 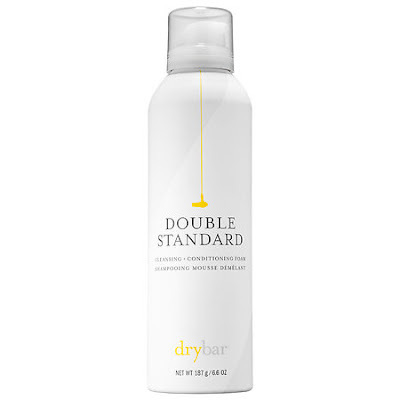 Drybar Double Standard Shampoo: When I saw that DryBar was coming out with it's 2-in-1 cleansing shampoo I bought a bottle the moment it was available. 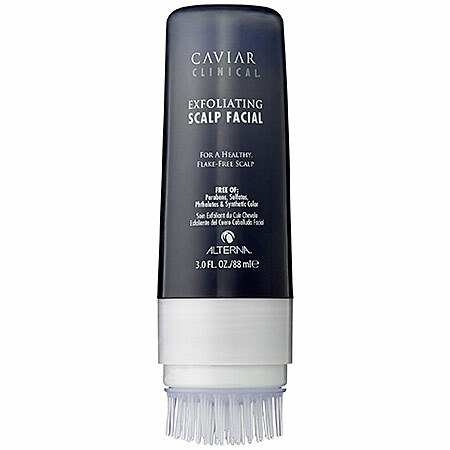 This is made for lifting and cleansing impurities and product build up from the scalp, leaving you with squeaky clean hair. This really helped, especially in conjuction with the Caviar Facial. My hair felt lighter, softer, and smoother with this shampoo and it left my scalp clean and fresh. It's a must-try! 3. Selsum Blue: This is a drugstore shampoo that is perfect for cleansing the scalp. Once my medicated shampoo runs out I'll start using this again. It's one of those old classics that never steer you wrong and I highly recommend starting with this shampoo to try and rid your scalp of that itch and dryness. Another tip is to try using sulfate and paraben free hair products. The less chemicals, the better! I've been using them for years because I need to use them when I have a keratin and there really is no difference. Most products are sulfate and paraben free these days!